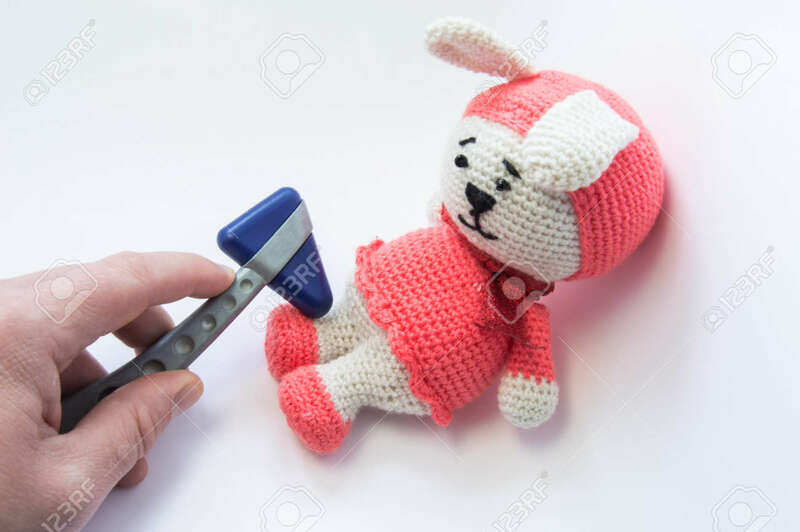 Doctor Examines Soft Rabbit Toy With Neurological Hammer And Checks Reflexes In Feet. Concept For Neurological Examination Of Neurologist Condition Of Nervous System Children Or Infants In Pediatrics Royalty Free Stok Fotoğraf, Resimler, Görseller Ve Stok Fotoğrafçılık. Image 78131434.